Our former managing director, Andy Evans, is opening teenagers’ eyes to the hardships other youngsters face, helping organise life-changing trips to Africa. 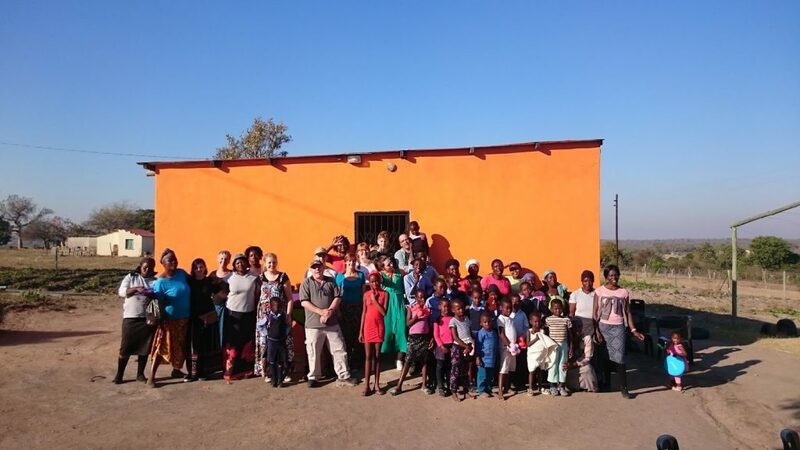 As part of his voluntary work with local charity Link for Life Project and partner organisation, Hands At Work in Africa UK, Andy has partnered with local schools to take groups of students on charitable projects in the Mpumalanga region of eastern South Africa. Andy has been volunteering with the charity since 2009. He recognised the opportunity to educate and promote understanding of the plight of orphaned and vulnerable young children in Africa, working with the Rose and Richard Westwood who have engaged with the local schools in Staffordshire. Andy has just returned from a visit in August and the next trip is planned for February 2019, when the team will involve students from Wolgarston High School in Penkridge. “It’s also a great way of encouraging young people to fundraise. Before the students leave the UK they have to spend 12 months raising the money for the trip, which is done through events such as quiz nights, car washes, afternoon teas and three legged races. This all helps towards building their confidence,” said Andy. “When the students return they talk to other students, do assemblies and chat to local groups to share what they have learned through their visit to Africa. Over the years, Andy and the teams he as been involved with, have assisted in building new toilets, feeding programs and supporting the care workers who look after the children even though they themselves have very little. Link for Life Project help to support Hands at Work in Africa who in turn help to train volunteer care workers in Africa to help them deal with the complexities of working with orphaned and vulnerable children. “Returning back from Africa, my views on wider issues has changed. I actively try to challenge ideas and thoughts to see different outcomes. “My educational journey hasn’t been smooth at all but, after going to Africa, I have been more motivated to succeed. Meeting people who don’t have the opportunities I do has made me very grateful for the things I used to take for granted. Michael Leonard, science teacher at Wolgarston High School, said: “We have joined together with our local churches and the charity, Link for Life Project, to expand our spiritual, moral, social and cultural side of school life to take on a more diverse and international feel. “We have shown through a range of activities from Diversity Day and Community Day that we are a school that cares and wants to help a wider community. This has been evident over several years with all of the generous donations to the food boxes that we put together each Christmas to be taken to our local food bank. “By going to South Africa and meeting orphaned and vulnerable children in communities less fortunate than ours, we get a greater understanding of how people from other countries live and we are able to help those communities to grow and develop to improve the lives of their children.